The Denver Civic Center rests at the intersection of Colfax and Broadway Avenue. 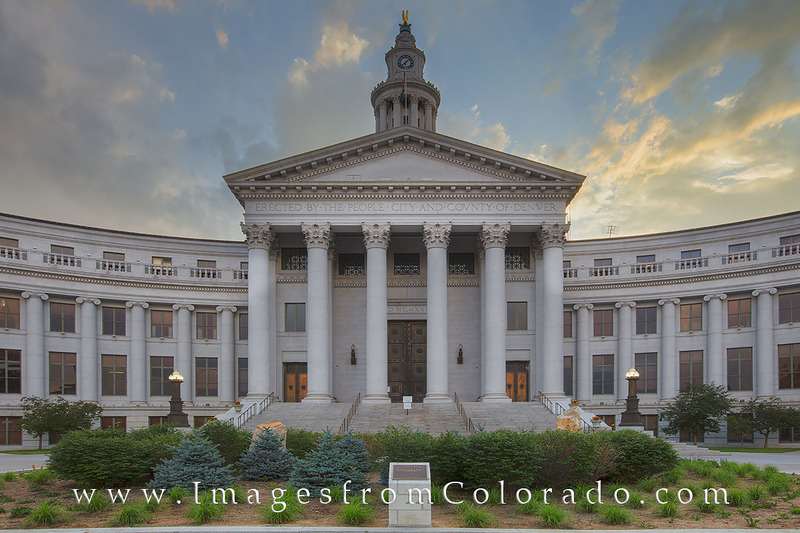 This downtown Denver image shows the City and County building. The park this building resides in was opened in 1919 and celebrates life and the arts, as well as governmental institutions. Photo © copyright by Rob Greebon.